Tanel Veenre çalışmalarını Tallinn, Estonya’da sürdürüyor. 2001 yılında mücevher eğitimini tamamlayan genç sanatçı, dergilerde moda fotoğrafçılığı ve editörlüğünün yanında, 2004 yılından buyana Estonya Sanat Akademisi’nde dersler veriyor. Tanel Veenre (born in 1977) lives and works in Tallinn, Estonia. TV has educated as jewellery artist (MA) in Estonian Academy of Arts (1995-2005, by prof Kadri Mälk) and Gerrit Rietveld Academie in Amsterdam (1997-98, by prof Ruudt Peters). He has shown his work since 1996, which includes jewellery, photography and fashion. 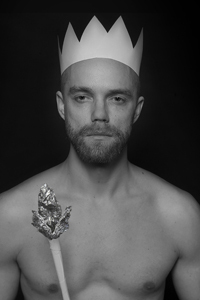 Tanel Veenre is working as a jewellery artist, design journalist for daily Eesti Päevaleht, free-lance fashion photographer and since 2004 he has been a teacher at the Estonian Academy of Arts. 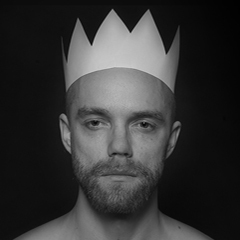 Since 2012 associate professor of Design Faculty in Estonian Academy of Arts. TV is one of jewellery artists in group of seven – õhuLoss (Castle in the Air). TV has exhibited his works in more than 100 group exhibitions in Estonia, Finland, Sweden, Denmark, Russia, Germany, Austria, Holland, Belgium, Italy, Spain, Portugal, England, Scotland, France, Turkey, USA, Hungary, Lithuania, Norway and China. Solo exhibitions since 2004 in Estonia, Germany, Portugal, France, Belgium, Sweden, Lithuania and USA. Works in public collections in Estonia, France and USA. TV has been giving lectures in Estonia, Scotland, Finland, Portugal, Spain, Norway and Germany.